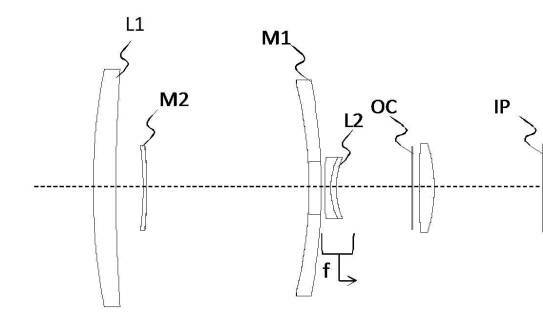 Canon Japan filed a patent for a 400mm f/5.6 mirror lens. 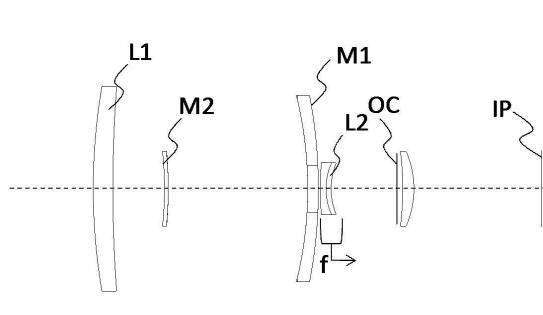 A mirror lens (or reflex or catadioptric lens). Various types of catadioptric systems are also used in camera lenses known alternatively as catadioptric lenses (CATs), reflex lenses, or mirror lenses. These lenses use some form of the cassegrain design which greatly reduces the physical length of the optical assembly, partly by folding the optical path, but mostly through the telephoto effect of the convex secondary mirror which multiplies the focal length many times (up to 4 to 5 times). This creates lenses with focal lengths from 250 mm up to and beyond 1000 mm that are much shorter and compact than their long-focus or telephoto counterparts. Moreover, chromatic aberration, a major problem with long refractive lenses, and off-axis aberration, a major problem with reflective telescopes, is almost completely eliminated by the catadioptric system, making the image they produce suitable to fill the large focal plane of a camera. Catadioptric lenses do, however, have several drawbacks. The fact that they have a central obstruction means they cannot use an adjustable diaphragm to control light transmission. 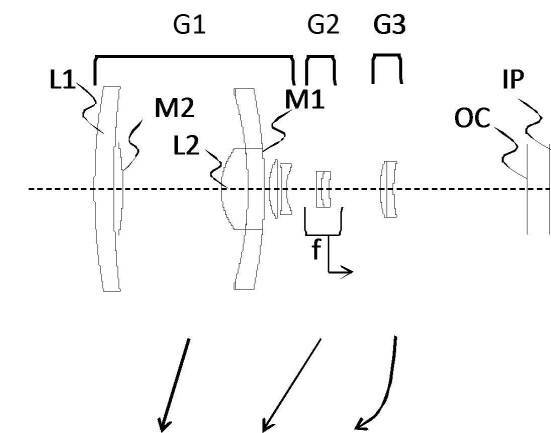 This means the lens’s F-numbervalue is fixed to the overall designed focal ratio of the optical system (the diameter of the primary mirror divided into the focal length). Exposure is usually adjusted by the placement of neutral density filters on the front or rear of the lens. Their modulation transfer function shows low contrast at low spatial frequencies. Finally, their most salient characteristic is the annular shape of defocused areas of the image, giving a doughnut-shaped ‘iris blur’ or bokeh, caused by the shape of the entrance pupil. 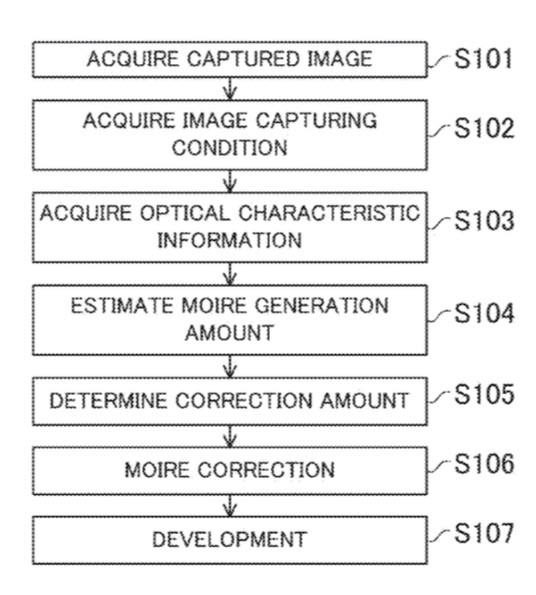 Patent JP-A-2017-219642 discusses such a catadioptric lens.